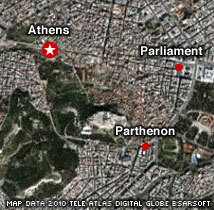 German Chancellor Angela Merkel arrives Friday at a meeting of European leaders to finalize an aid package for Greece. (CNN) -- The Italian, Spanish and German governments approved their contributions Friday to a 110 billion euro ($140 billion) bailout plan for Greece. 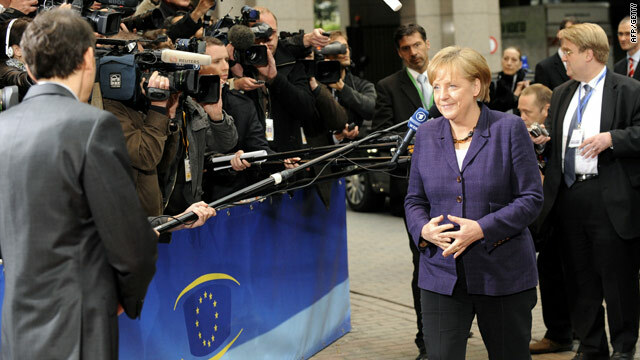 Leaders of several European countries plan to meet Friday in Belgium to finalize details on the plan. The meeting in Brussels comes a day after Greek lawmakers approved a package of budget-cutting measures to help the country's battered economy -- measures that were required to meet the terms of the bailout. In Washington, U.S. President Barack Obama said he spoke Friday with German Chancellor Angela Merkel regarding economic and financial developments in Europe.